The TQSOI mobilizes the community to participate in democratic life and collective action. Citizens are active players in the social development process in the region. Besides citizens, representatives of local businesses, elected officials, community organisations and institutions participate in a number of different ways, they volunteer, participate in consultations, take part in working committees and other decision making instances. Subscribe to our newsletters, follow us on Facebook or participate at our regular meetings. We regularly inform the community about our collective actions and achievements. Take part in our focus groups, citizens’ forums or answer our surveys. We consult the community to better understand their needs, concerns and preoccupations. Click here to read the results of our previous consultations. 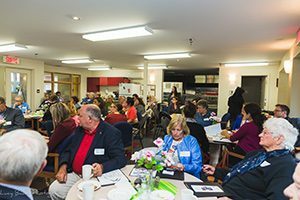 Get involved in our working committees, board of directors and participate in assemblies to make decisions that will impact the quality of life in your neighbourhood. All persons living, working or studying in the southern West Island are encouraged to become members of the TQSOI. The committees are formed to address social and economic issues that the community identified as priorities; transportation, food security, health and social services, poverty and social exclusion and affordable housing. Each committee creates a realistic action plan for its specific focus and oversees its implementation over a period of five years. 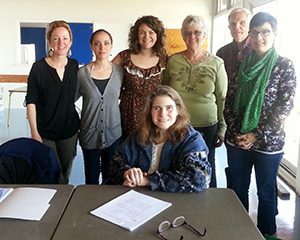 The TQSOI welcomes volunteers who can offer their expertise, skills and time to advance our important work. We offer a variety of volunteer opportunities tailored to individual interests. 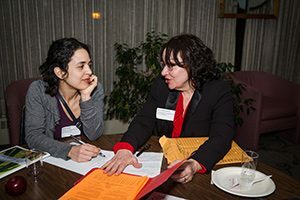 Translation, editing and writing, research, graphic design, administrative assistance or even helping us set up events are just some examples of volunteer opportunities. If you think that you have the time or skills to contribute to our collective efforts, please contact us at info@tqsoi.org and apply to volunteer! If you have any further questions about participating, please contact us online at info@tqsoi.org, by phone at 438-938-7764 and consult our meetings calendar.